We have a Custom entity with 3 forms and the requirement is to navigate to a different form based on a field value . So we registered a script on form ‘load’ event to navigate to a specific form based on an option set value. Navigation worked as expected except few user’s that too when application should take User to ‘Form 2’. We configured new Security Roles recently. Our forms were role based and we missed enabling newly added “Security Role” for ‘Form 2’. 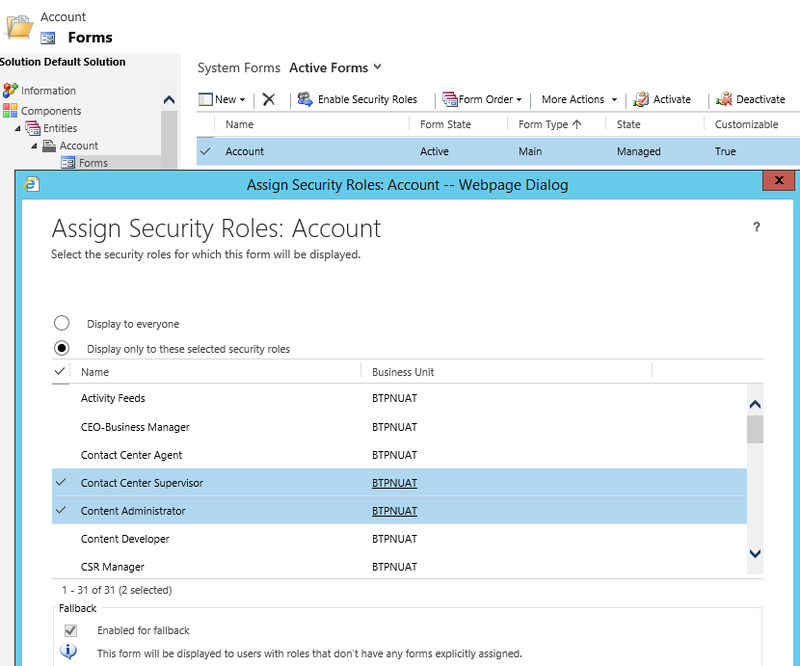 By enabling newly added Security Role for ‘Form 2’ script started working.